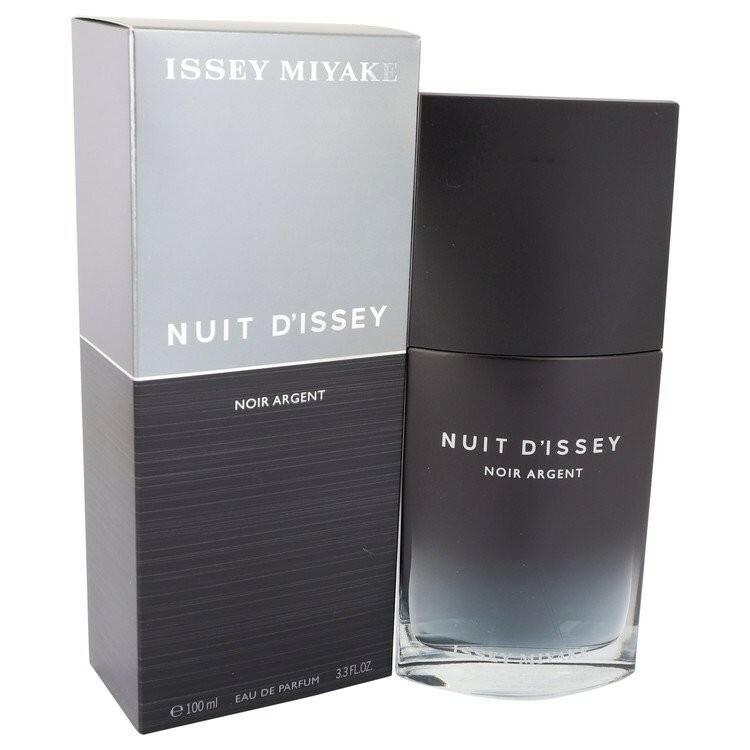 Nuit D’Issey Noir Argent by Issey Miyake is a Woody Spicy fragrance for men. This is a new fragrance. Nuit D’Issey Noir Argent was launched in 2018. The nose behind this fragrance is Dominique Ropion. Top notes are grapefruit, pink pepper, black pepper and nutmeg; middle notes are leather, saffron and olibanum; base notes are patchouli, labdanum, myrrh and vetiver.